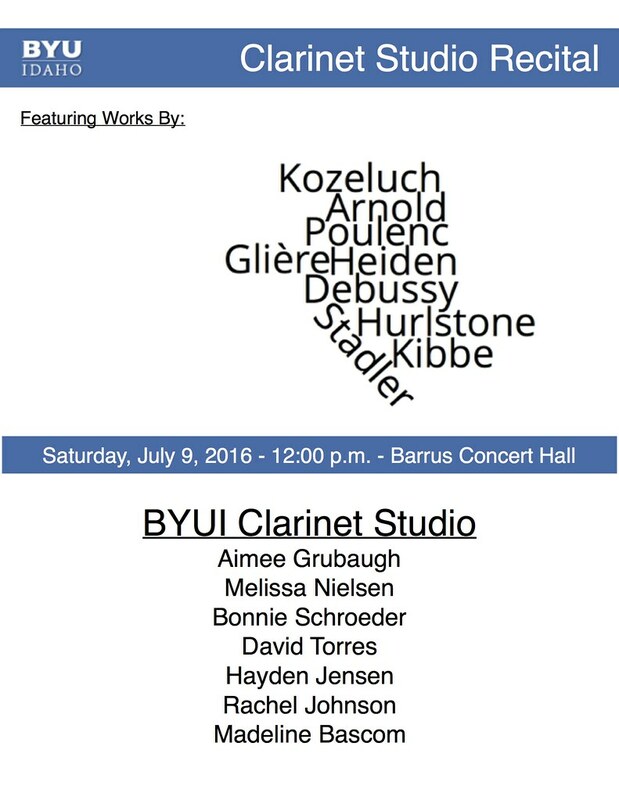 The BYU-Idaho Clarinet Studio will be giving a recital on Saturday July 9th at 12:00pm in the Barrus Concert Hall. The program will feature works by: Kozeluch, Arnold, Poulenc, Glière, Heiden, Debussy, Hurlstone, Stadler, and Kibbe. In addition to solo repertoire, the studio will be present duos and trios.